Welcome to the 2018 Showroom. Explore what it means to create a sense of hospitality at every exchange. 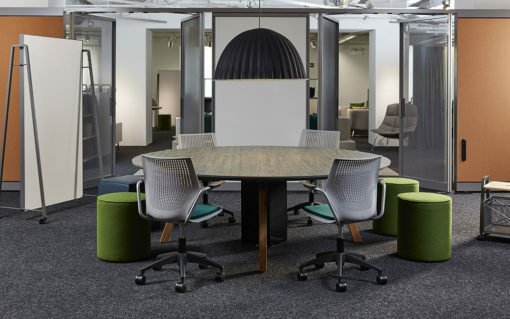 From soft and welcoming touch-points to highly flexible environments, this year's showroom–Hospitality at Work–presents a new way of thinking about the office and a more welcoming way to work. 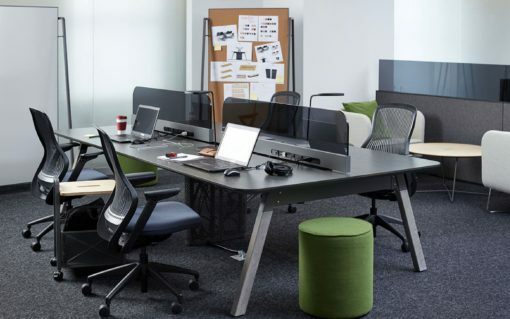 As mobile workstyles lift limitations on where work is done, organizations are focused on creating engaging environments that attract workers to the office. 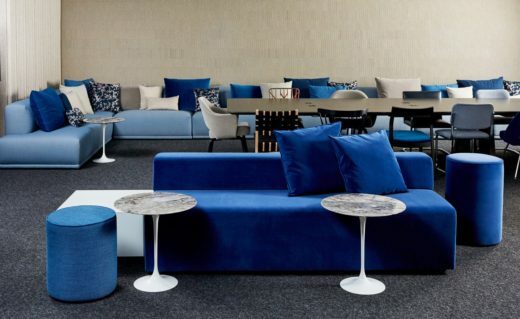 Inside our showroom, visitors are invited to experience themed spaces that illustrate the power of hospitality in the workplace: Welcoming Environments, User-Directed Experiences, Flexible Solutions, Material Variety and Residential Aesthetic. Each Incorporates residential comforts and hospitality amenities that encourage comfort, community and ideation. Today's workplace is a place you want to be. A welcoming environment invites you to feel at home. 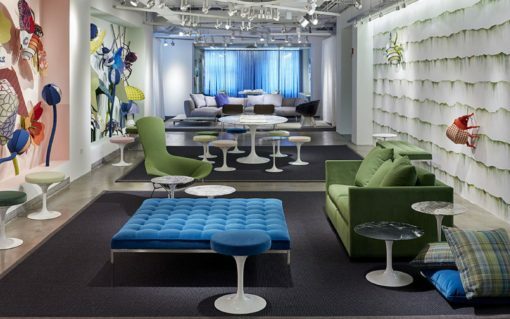 These spaces evoke a sense of comfort that encourages you to take a seat, plug-in, or strike up a conversation. 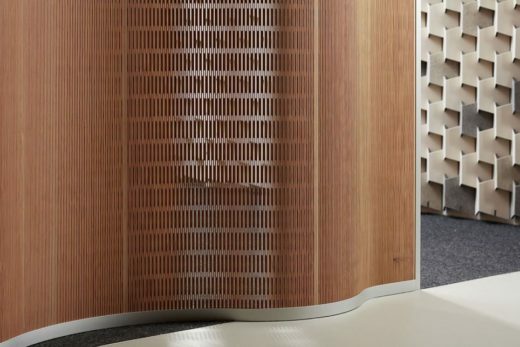 An approachable concierge area or reception desk serves as a gateway to an experience-based workplace. 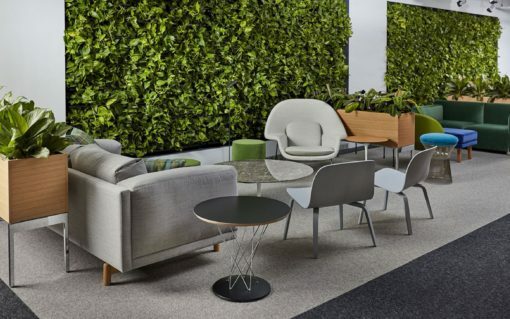 Abundant plants and greenery bring the outside in, pairing lush green foliage with warm furnishings for a tranquil introduction to the space. 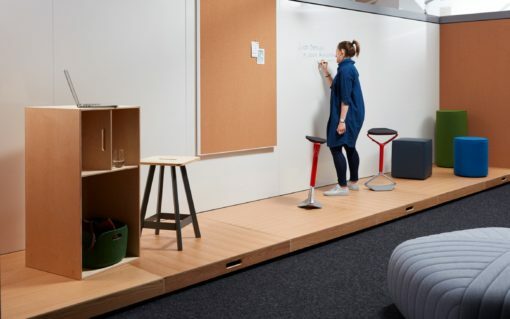 Our perspective on Immersive Planning, a Knoll Revolution Workplace planning paradigm, positions hospitality as one of five key factors that contribute to a new way of working and thinking about the office environment. 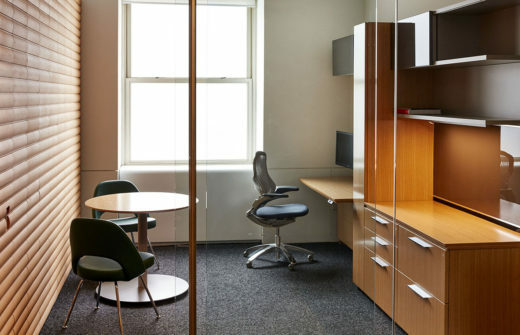 The power of choice is essential to hospitality in the workplace—to be able to chose what kind of environment you want to work in at any given moment. 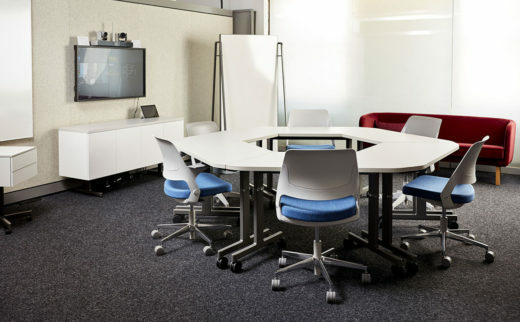 This space features a large, open footprint with areas to kick back and ideate, or spread out and roll up your sleeves. Welcoming materials, soft-touch points and up-to-date amenities are expected. 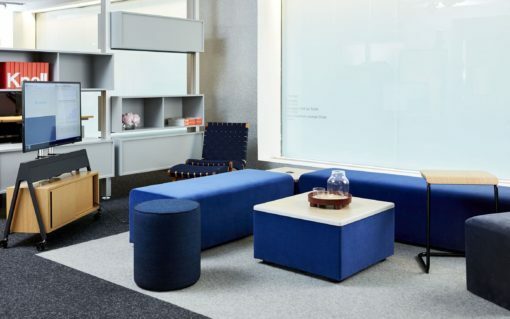 Companies are realizing the importance of creating a space that is truly inspiring to attract and retain the best talent. Hospitality in the workplace goes beyond providing choice in environment to providing choice at the product level. 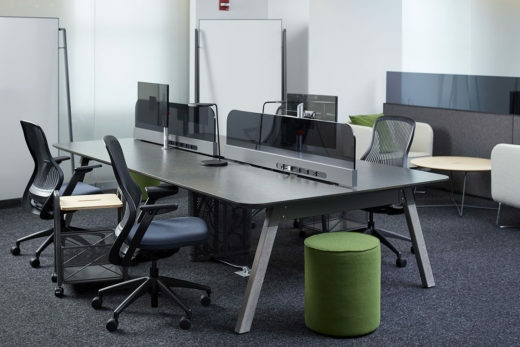 Allowing for an ever-changing work landscape, flexible, multi-use spaces empower you to control your surroundings and adjust workspaces for the task at hand. Truly flexible spaces host a spectrum of collaboration, co-creation, power and data solutions. 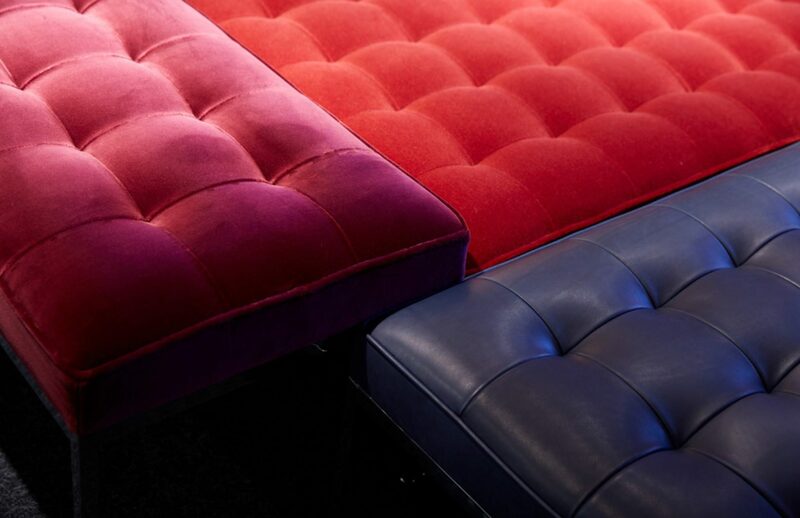 Material variety balances warm and rich tone swith creative forms to compose a truly inviting space. 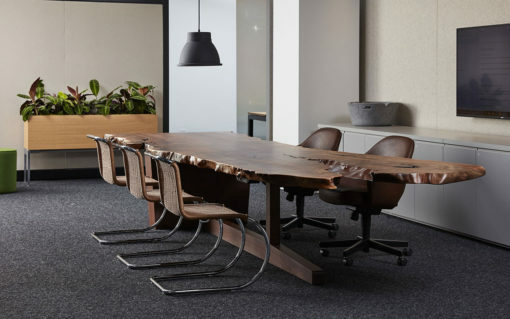 Natural materials–warm woods, wool felt, premium leather–evoke a “third-place” within the workplace. 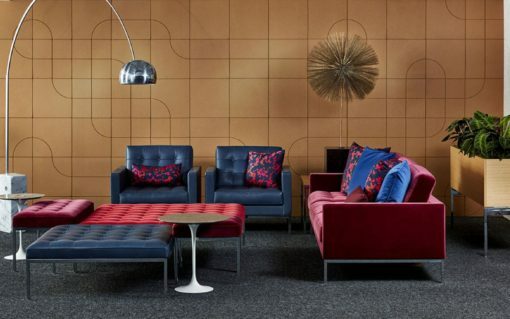 Mixing unexpected materials in a more informal manner enlivens a space. 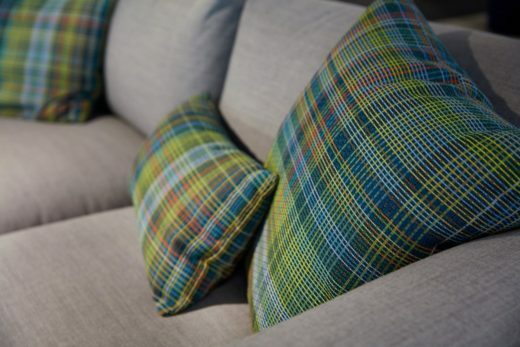 The right mix of hard and soft, bright and subdued, harmoniously ties a space together. 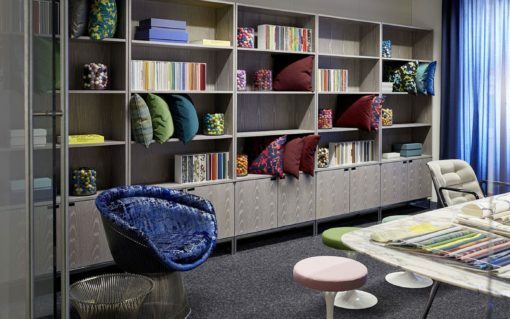 New to the Knoll constellation, Muuto has its own dedicated space in the Hospitality at Work Showroom. Rooted in Scandinavian design traditions and characterized by enduring aesthetics, functionality, craftsmanship and an honest expression, Muuto is a natural complement to the Knoll aesthetic. Muuto products pair seamlessly with the range of modern Knoll designs, offering an expanded breadth and depth of affordable luxury products that reflect today’s evolving workstyles and trends in residential design, with particular appeal to a younger generation of architects, designers and clients and those seeking a homier, more relaxed aesthetic. 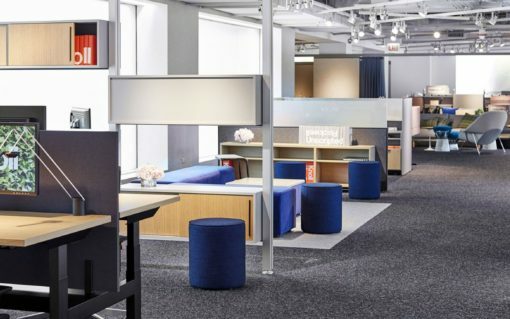 2018 will be our biggest presence ever at NeoCon. We want to tell the Muuto story to the American audience, showing how our resimercial Scandinavian design can affect workplaces and public environments for the better. Muuto creates products that bring personality and a unique sentiment to any professional or private space. 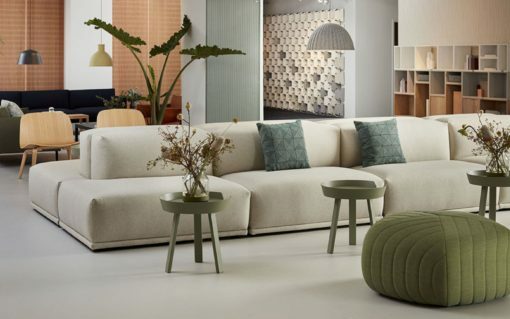 Through a collection that spans across furniture, lighting and accessories, Muuto’s products have a shared identity that is at once modern, timeless and functional. 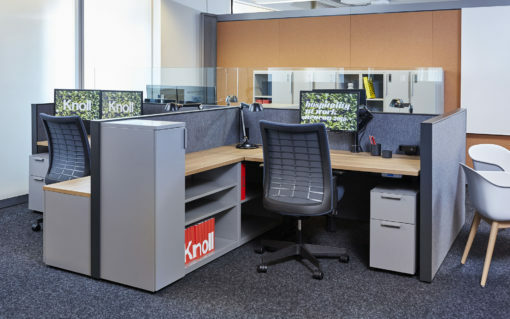 In honor of our 80th anniversary, Knoll introduces new products for both the home and the office that honor the iconic forms of the past and propel a modern sensibility into the future utilizing contemporary materials and complex manufacturing techniques. 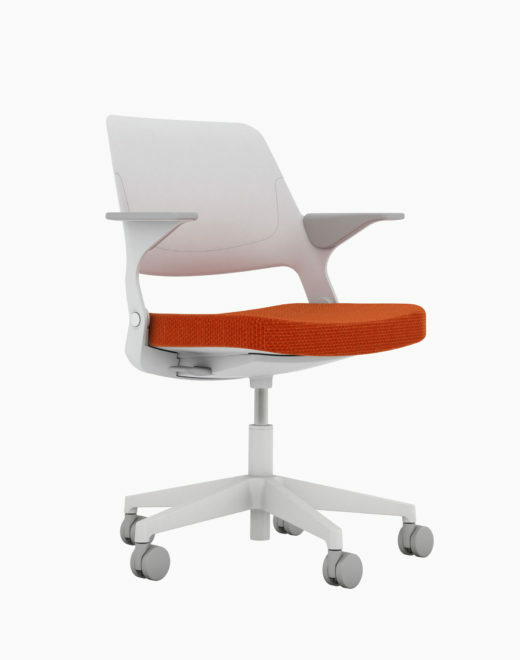 Ollo is a light task chair designed to support improvisation and spontaneity across a variety of environments and workstyles. 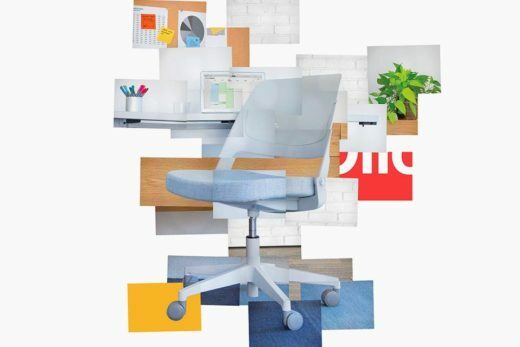 With its modern form and intuitive movement, Ollo adapts to the task at hand, whether you’re just touching down or staying a while. 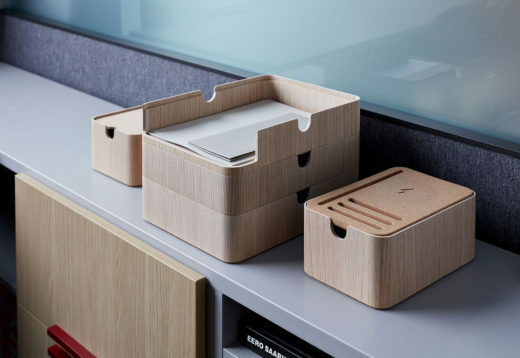 Poised to bring material warmth and the latest charging technology to the desktop, Lars Beller Fjetland’s new collection of desktop accessories organizes the evolving workplace – one filled with digital devices and everyday essentials rather than reams of paper. Previewing at NeoCon 2018, The Beller Desktop Collection combines functionality and natural materials, primarily wood and cork, to create a family of products that efficiently organize the everyday things that clutter the worksurface. 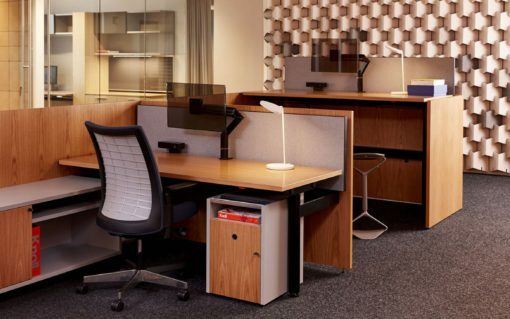 The lightweight, bent wood collection is designed to easily stack together or be used individually, providing maximum storage flexibility for any size desktop. The collection also integrates wireless and USB charging technology. 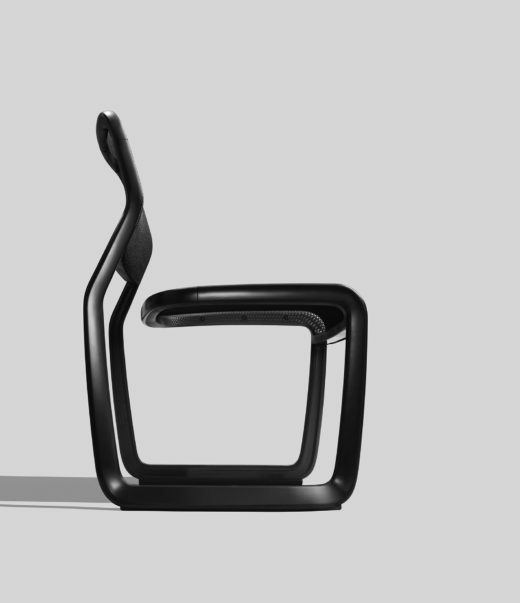 A contemporary re-introduction of some of our earliest designs, KnollStudio presents the Butterfly Chair and the Risom Outdoor Collection. 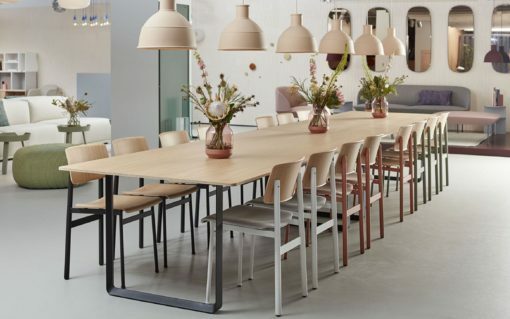 Designed by Jens Risom in 1943, the Rise collection of chairs and tables has since been used for every application imaginable, from the home to the workplace to hospitality environments. 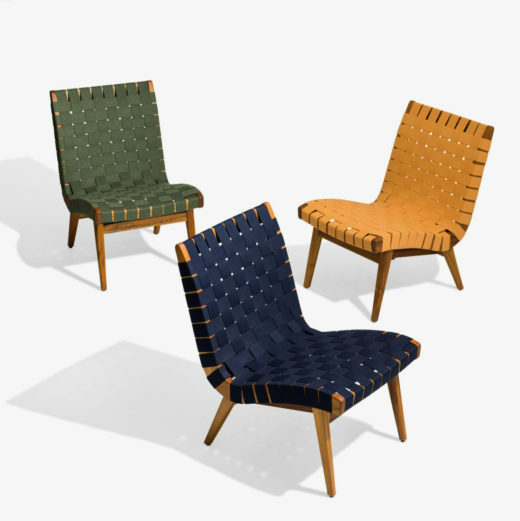 Honoring the collection’s enduring design, selected classics from Risom’s original collection have been re-engineered using teak wood and Sunbrella® webbing for outdoor use. 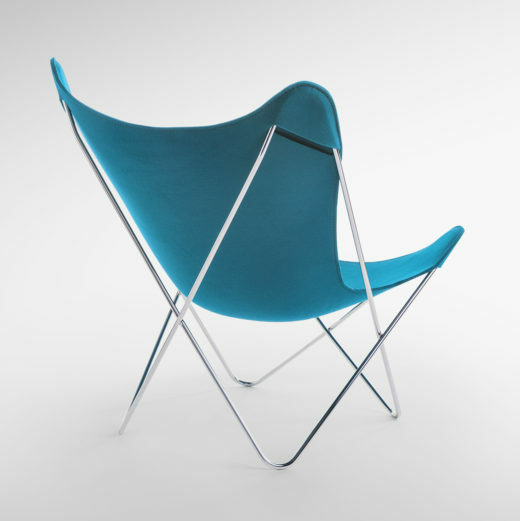 Designed by Antonio Bonet, Juan Kurchan and Jorge Ferrari-Hardoy in 1937, the Butterfly Chair encouraged a new way of sitting, freeing people from formal situations and encouraging a new convivial spirit that laid the groundwork for contemporary furniture design. 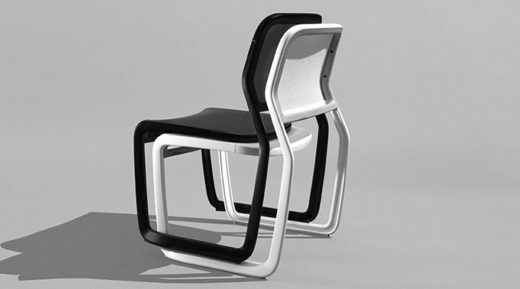 Today’s Butterfly Chair has sinuous, dynamic lines made possible by the materials involved: thermoformed felt fitted to a steel frame. 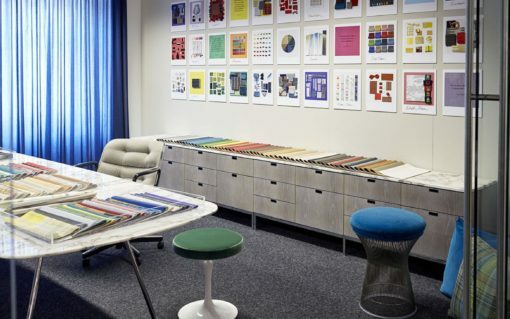 From Rockwell Unscripted to the k. collection to DatesWeiser, Knoll has spent the last year measuring how current collections have adapted to the evolving workplace, noting where a product can be enhanced to maximize its capabilities or where there is an opportunity to take the core foundation of a collection and create an entirely new complementary product. 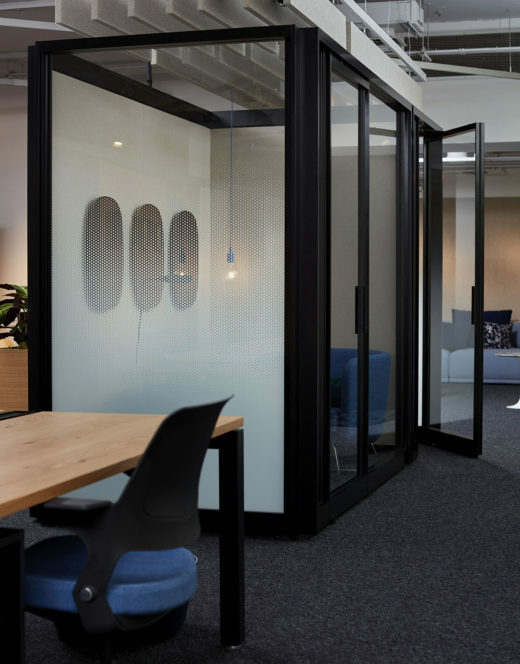 Creative Wall Enclosures incorporate the same post and lintel framework as Creative Wall but offer entirely closed spaces with doors and windows for private phone conversations or highly focused work. 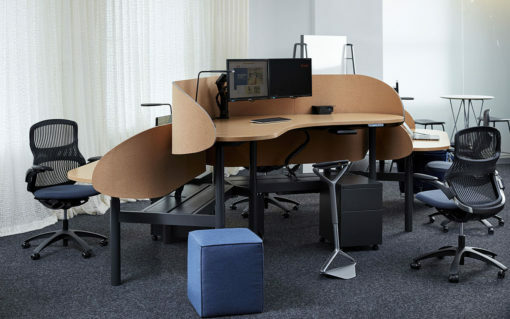 Sawhorse Workbench, with its warm expression of wood and welcoming curved and tapered touch-points, merges the privacy and focus of traditional benching systems with the collaborative and open characteristics of today’s workplaces. Powerful dividers and cable managements make the Sawhorse Workbench a truly versatile product. Achieve more with less. k. bench is a straightforward height-adjustable benching system. 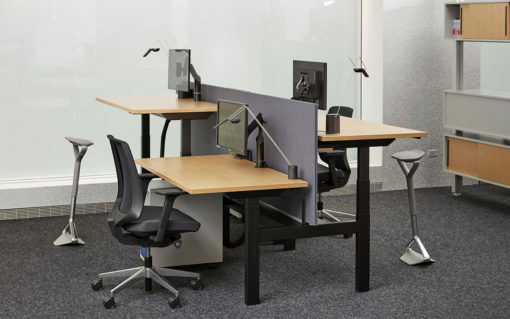 A small, yet adaptable kit of parts allows for the integration of two height ranges in the same cluster, and the continuous power channel offers the flexibility to add or subtract desks in the field. The simplified and integrated cable management system anticipates the long-term needs of cable management upkeep – meaning no visible cables. Slim upholstered screens provide visual privacy and tactile warmth to the open plan. 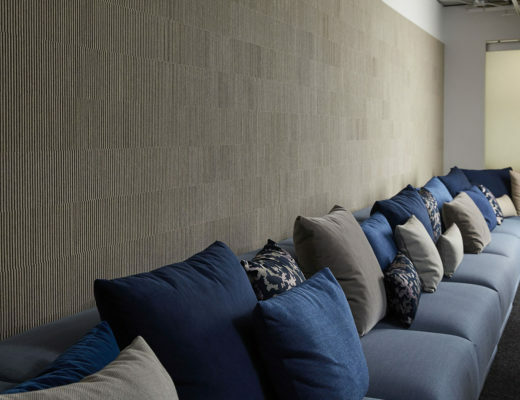 KnollTextiles presents the Interwine Collection by Dorothy Cosonas, KnollTextiles Creative Director, and the Atmosphere Collection, a collaboration with Trove. Marking the 10-year anniversary of Knoll Luxe, three Knoll Luxe advance preview products are on display. The Intertwine Collection explores patterns, structure and geometry both on and off the grid with upholstery and drapery products. 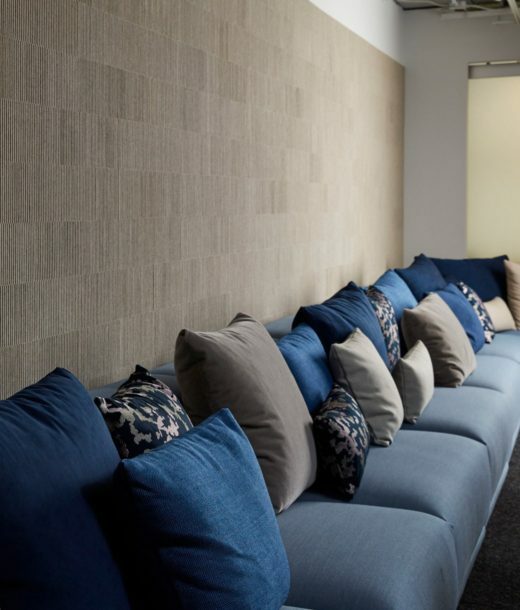 The Atmosphere Collection is a study of how intrinsic forces in nature shape patterns rendered in large-scale gestural movements on high performance Thermoplastic Olefin wallcovering. 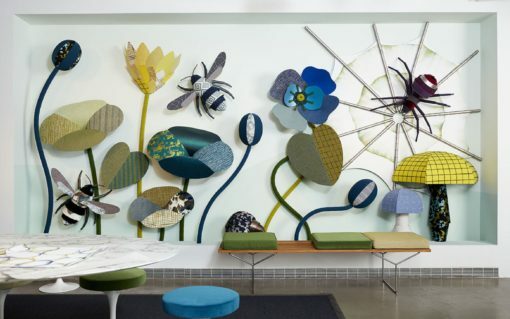 Selections from each collection are incorporated into a larger than life display of flowers, plants and creatures made exclusively with KnollTextiles products. 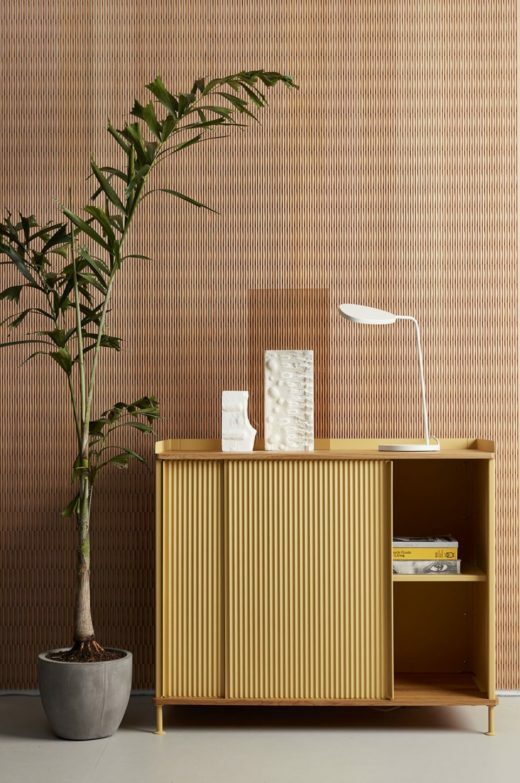 Ribsy is an acoustic wallcovering that has a ribbed texture made with thick wool felt strips. 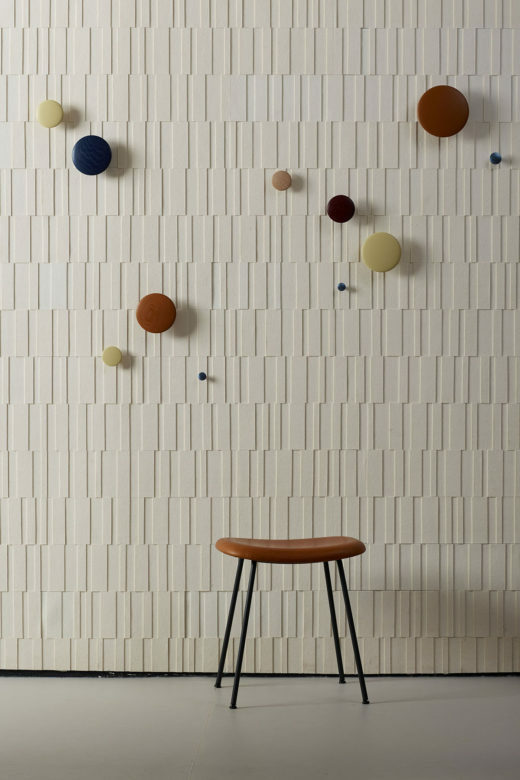 The tile-based system creates wall-to-wall installations with subtle color variation between felt strips to create rich depth and texture. 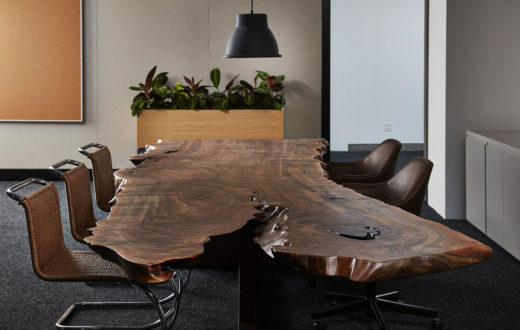 Spinnybeck showcases Dukta flexible wood, a collaboration with the Switzerland-based company. 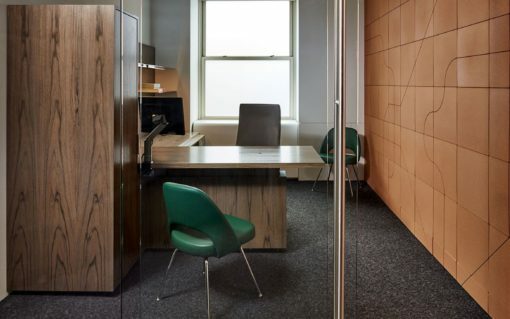 Dukta developed its patented incision process that makes wood flexible, allowing for textile-like properties that adapt to a wide-range of applications including wall and ceiling panels, free-standing screens and acoustic installations.